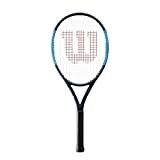 The Wilson Ultra 26″ Inch Pre-Strung Black/Blue/White Junior Tennis Racquet is an excellent junior performance racket with new power technologies added that will overwhelm opponents with its precision shot making. Power Rib with Integrated Crush Zone Technology features an enhanced geometry for more explosive power and an innovative yoke grommet for increased ball dwell time on the strings. 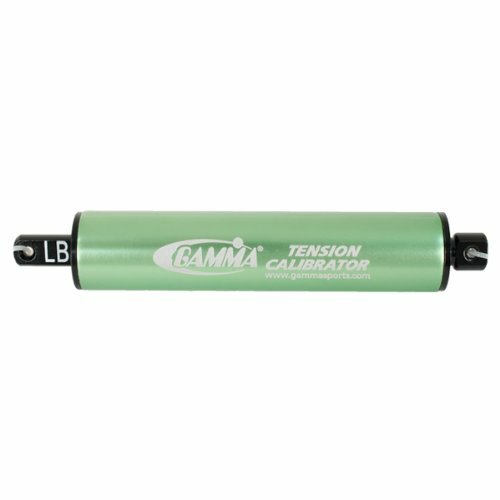 Parallel Drilling provides more consistent shot making from the forgiving nad lively string bed response. It also features a 100 square inch head, a low-density, spin-inducing string pattern at 16×19, comes strung at 8.6 ounces, and at 4 points head light, makes this stick a spin generating machine. 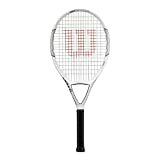 PERFECT PERFORMANCE JUNIOR RACKET: The Wilson Ultra 26″ Inch Pre-Strung Black/Blue/White Junior Tennis Racquet is simply a 1″ inch shorter frame geared towards juniors not quite ready to wield an adult sized racket (27″ inches), and also has the same performance-based, lightweight graphite frame that reduces unwanted vibration while increasing feel.